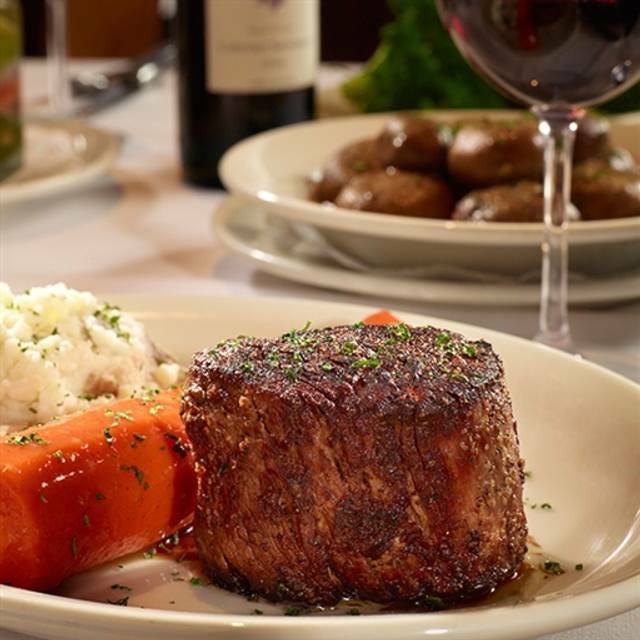 You must make reservations at least 5 minutes in advance of the time at Bob's Steak & Chop House-New York. Bar Open Daily at 12:00 noon. Valet parking for a fee is available at the Omni Berkshire Place or there are several parking garages in the area - closest garage is on 52nd St between 5th and 6th Avenue. Whether you are hosting a large business function, small gathering with friends or anything in between, our team will customize your event to make it memorable. 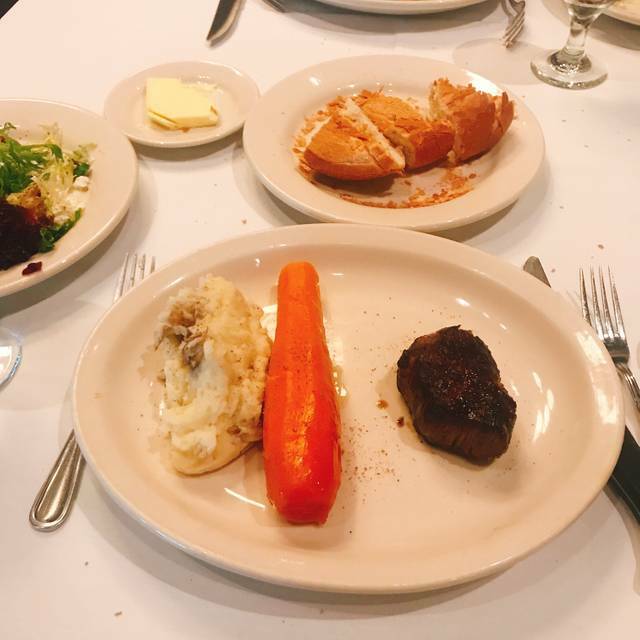 Let our experienced staff at Bob’s Steak & Chop House or catering team work with you to ensure that every detail is exactly right. From the food and drinks, to the ambiance and timing, expect the absolute best for your guests. The T-bone steak was medium when I ordered medium-rate, so it was terrible and I didn’t finish it. The salad. shrimp cocktail, and bread were outstanding. Wonderful food! My server, Tamara, was a true joy. Very personable and thoughtful. She made a great experience even better. Everything was fantastic. The food is great, the service was fantastic, and the atmosphere was spot on. Birthday dinner before broadway show. Food was just okay. Very nice service and a pleasant room; blisteringly expensive ($90+ for breakfast for two people, including $8 for coffee) and very unremarkable breakfast fare. Overall I found this steakhouse to be average. Its a nice space and quiet enough to have business discussion but almost too quiet. Our waiter seemed disinterested. Just going through the motions. Basically an order taker. When we asked for reccomendations he pointed at the specials and said "everything's good". That's an answer you get from an 18 year old at Applebees. The food was ok. Not bad just nothing special. Price is average for a nice steakhouse in NYC. Same price point gets you into Maloney and Porcellis around the corner which is a much higher end experience. Bob's is a nice space with potential but there didn't seem to be anyone in charge so the staff is just punching the clock. I won't bring customers back here. They were definetly disappointed in the overall experience . I would recommend Bob's to anyone. The food was awesome and had the best waiter of all. He was an older gentleman and was great. It was my wife and my 30th wedding anniversary and we couldn't have picked a better place. Bob's even supplied the best cheese cake I have ever had. Once again I cannot thank Bob's enough for making our special date the best experience at a restaurant that we have had in a very long time. Thank you again Bob's!! We come all the way from brooklyn and we get treated like family , shyblee was very friendly to us and made us welcomed. Would definitely go back and highly recommend. Perfect restaurant if staying at Omni Place hotel. Food and service were excellent. Had the largest and most delicious pork chop ever. Desserts looked great but was to stuffed to try them . A difficulty with most NYC Steakhouse is the noise level where you cannot carry on a comfortable conversation with your guests. Bob's does not have this issue! While there is conversation in both the bar and dining area it does not overwhelm your own, which makes for a much more pleasurable dining experience. I take my clients there, so you know I think it makes a reliably good impression and we can hear each other.. The wait staff is attentive but not intrusive. And the food is good. The management if lovely. Food and service just outstanding!!! Quality of the meat was outstanding!! Most steakhouses brag about the meat being prime and dry aged but I am usually disappointed. Bob’s is the real deal. Was a recommendation from a friend. I was not disappointed with anything. A great experience with perfectly cooked steak and beautiful environment. I was with a friend for the lunch during NYC Restaurant Week but it still worth with regular price. I immediately recommended the restaurant to my other friends after the visit. Definitely a steakhouse worth tasting in NYC! Incredible food and phenomenal service. The steak was outstanding and the server was attentive and helped elevate the whole experience. Can't wait to go back! Great value for restaurant week. 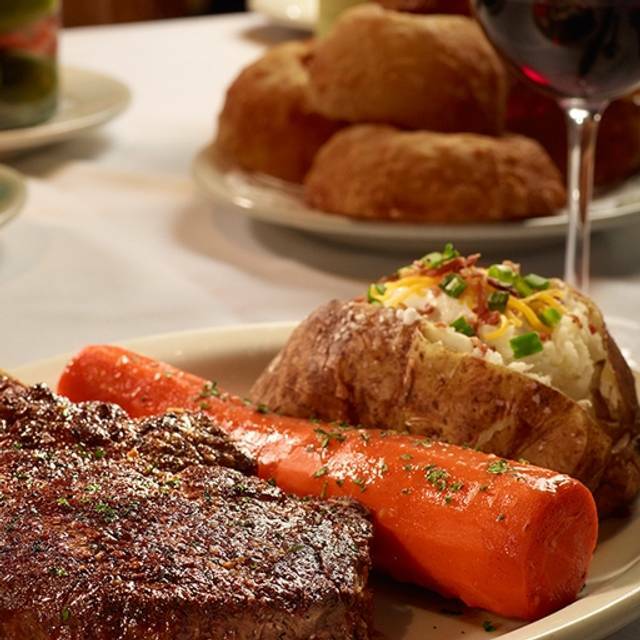 The steak is amazing. Disappointed I couldn’t have salad instead of dessert. Fantastic experience for my family and I. Jose was very personable. Really enjoyed my dinner here. Friendly accommodating service, nice environment and great food! Steak sandwiches very chewy. Crab cake sandwich blah. Mix up 3 times over who ordered what kind of burger at which temp, medium rare, rare etc. & 1 of our table of 10 got her entree ten minutes after the rest of us. No other choice for a table of 10 Christmas week at Rockefeller Center, but won’t go back. Many other locations were full for our last minute dinner plans. The pork rib chops were excellent, the dessert was enormous. Service was spotty. It was awesome, the food was delicious very intimate and chic environment. Very affordable so you’re wallet will thank you later. Great night very recommended 5 stars forsure. I have been to bobs in Fort Worth. The food was 1000 times better than at this location. Even the pickles were bland. It was disappointing at best. Very professional and accommodating staff, sociable and genuine. The food was coursed out nicely. Even though we were one of the last to arrive, we were not rushed. The place is spacious, could benefit from a little "warmth" with a candles or flowers. Our server, from Ecuador (Alberto I believe) was fantastic and so was Kevin. Very disappointing. Crab cakes were cold and steak over cooked. Baked potatoes were cold and the giant glazed carrots were stone cold. In addition, they take the European approach to tipping which mandates an 18% gratuity regardless of party size or level of service provided. The lighting could also be improved throughout the space. When requesting the check, the waiter sat it on an empty table next to us but did not tell it was ours as he assisted with another table for several minutes. Many better steak places in Manhattan for the same money. Food was ok but VERY expensive. Bob's was amazing. I was looking for a restaurant which had good ambiance first. After that, I made sure there was a good steak selection, apps, cocktails, and wine list. Bob's has it all. It's a little rough to get to and from there, but other than that it was perfect. We never waited for our waiter when we needed him, and he made fabulous recommendations. service was outstanding. the server went above and beyond to create plates for our grandchildren who wanted beyond kids meals offerings. food was fresh and excellent. again, the service was superb! My child has food allergies. The restaurant handled it very well. Happened into Bob’s and was craving a steak. We were dressed casual and this didn’t seem to be an issue (other than with my wife if you see my casual). When first seated I felt server was a little judgmental but that’s ok with me. He works there, not me. After he asked some questions and inquired why were were there (in city) he immediately became friendly with us. We ordered wine and Onion Ring appetizer. He suggested only 1/2 order due to size and it was a good recommendation. 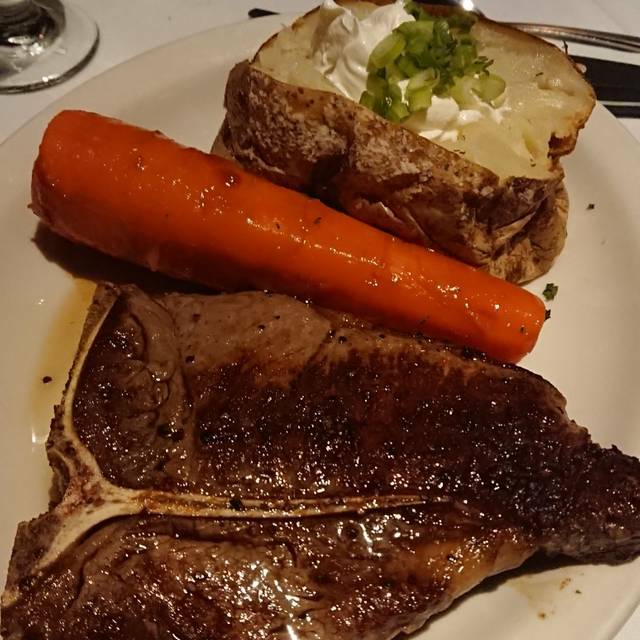 We then ordered Bone-in Ribeye, baked potato, and wedge salad. All were good. Salad needed more dressing but my fault for not asking for additional. Little pricey for overall meal but no complaints as the meal was good. Not sure we’d go back ... only because so many other choices in the city. Very nice restaurant within walking distance of the Radio City Music Hall. We enjoyed the food selection, and our waiter was very helpful, and attentive. Food was good but pricey. Staff was great, they even gave nice gifts to the gifts that helped occupy them while finishing eating. 5 stars for great staff!